If you crave total relaxation look no further than COMO Maalifushi. Designed by Japanese architect Koichiro Ikebuchi this gorgeous resort certainly lives up to the COMO mantra of wellness. With 33 minimalist residences on water and 32 on land, this is the perfect holiday spot for couples and families who want to switch off and chill out. Parents can unwind on the beach whilst children are kept busy at the outstanding Kids Club, and we love the outdoor cinema where families can reconvene under the stars in the evenings. Maalifushi is nestled on the south-west side of the Thaa Atoll; one of the most southerly Atolls in the country. To get here, it’s a short domestic flight from Male, followed by a speedboat ride – but trust us, it’s well worth the journey. Thaa Atoll is largely unpopulated so the white sandy beaches and lagoons that surround the hotel are yours to explore. Make use of the hotels in-house surf instructors who can take surfers of all levels out to the nearby deserted reefs to surf the best waves in The Maldives, or link up with the world-class dive school and head underwater to discover an incredible array of marine life running the gamut from tiny cleaner fish all the way to whale sharks. 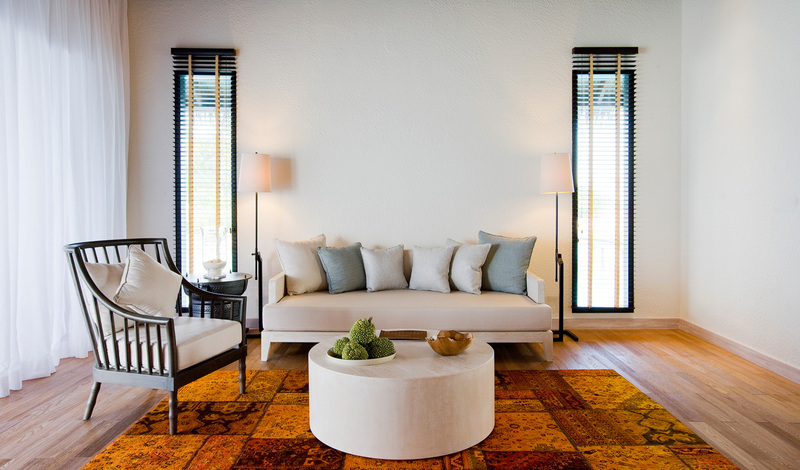 Taking inspiration from local influences and natural beauty, all rooms feature huge windows, teak floors and high ceilings made for soaking in the ocean views. 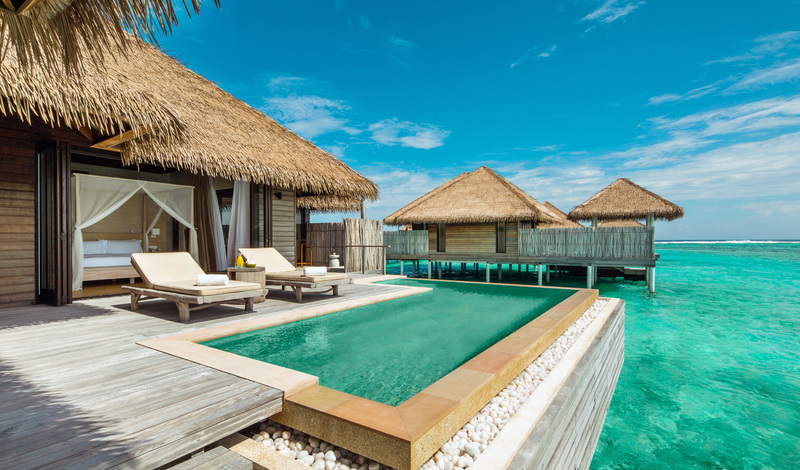 Take your pick from the beach suites, water villas and garden rooms. We love the suites and water villas, with their bathtubs big enough for two and array of irresistible COMO Shambhala bath products. If you’re looking for extra privacy, look no further than a two-bedroom COMO Villa with its large private pool and personal butler. With a philosophy that focuses on wellness, you must be sure not to miss out on a yoga session or two and a treatment at the incredible over-water Shambhala Spa. Tuck in to the deliciously unique COMO Shambhala cuisine which aims to give maximum health benefits without scrimping on flavour. If you’re a foodie you’ll love Tai restaurant, where Japanese cuisine is served up with an innovative twist. End your trip on a high note with an exclusive ‘castaway picnic’ on a private beach.